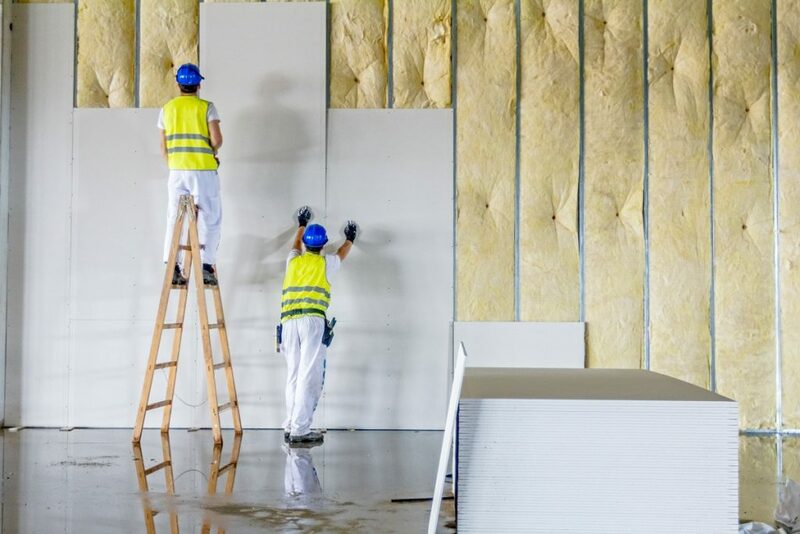 Plasterboards are versatile, fire-resistant materials. The ease of using them for many home or office needs makes them a popular option for internal walls. However, cutting and fixing them is not that easy. You can ruin the material if you lack the proper skills or the appropriate plasterboard cutting tool. Read on to learn more about the process. When cutting plasterboards, you need a number of tools, and first is a plasterboard saw. There is a specialised saw for plasterboards or drywalls, but you can use saws with finer teeth. You also need a plasterboard rasp to tidy up the cuts you make. Other tools you need are a plasterboard knife (or any utility knife) to create creases, a rule (e.g., square) as a guide for scoring and cutting, and a drywall screw or galvanised nail for hanging sheets. When cutting plasterboards, make sure the area is cleared of objects that may damage the sheets. Position the sheets on one side or corner to prevent accidental damage. This will also help you manage the cutting more efficiently. 1. Prepare the Sheets – Line the plasterboard slightly vertically along a wall. The sheets should stand compactly with each other against the stud framing. This allows the sheets to sit still and not warp. 2. Cut the Sheets to Length – Using a square, begin cutting the sheets up to a length. From the top, score the sheets using a plasterboard knife stopping at midway. Now, score from base to the middle where you stopped. 3. Snap the Sheets Vertically – When snapping a sheet, position the sheet vertically against the floor. The scored side should be on the opposite side. Then, snap on the scored line to form a crease. You can now finish the cut using the knife. Tidy up the edges with a rasp. 4. Cut the Sheets to Width – Behind the square, pull the knife to cut to width. Using the knife’s tip, cut through the lining paper. Then, slide the top of the square with the knife across the length of the sheet. 5. Snap the Sheets Horizontally -Lower the sheet almost horizontally against the floor. Snap the sheet by punching softly against the scored line. Now with a crease, slice the lining paper along the crease. Tidy up the edges with a rasp. To create openings, the same care is needed. Preventing excessive force when holding the sheets is required. Also, make sure the saw is not the thick and heavy type to prevent breakage when sawing. 1. Make an Opening – Using nails or screws, fasten the sheet to the frames. Leave the top of the sheet unfastened. Start cutting from below using a plasterboard saw. Stop when you reach the frame. 2. Cut an Opening – Score the back of the sheet along the frame at the top. Snap along the scored line. Along the crease, cut the front lining paper using the knife. Cutting plasterboards can be methodical. It requires care and organisation. Although one can cut plasterboards alone, it is advisable to have some helping hand. Someone to hold and stabilise the sheets when scoring and snapping is very helpful. ©2018 Generals Guild. All Rights Reserved.